Each oil has its own characteristics that blend differently with the citronella. Here are some blends to use as a starting point. If you don’t have a particular oil, feel free to substitute or adjust as you see fit. Each of the recipes has at least 1/3 citronella. A simple natural blend with the wonderfully sweet and spicy notes of the clove oil. Likewise a simple blend, but substituting the peppermint for the clove changes it into a bright, energetic, and sweet blend. A more complex blend with mostly “green” scents including wonderfully dark and smoky cedarwood. Here just a little bit of Egyptian Rose Geranium brings out the floral qualities of the lavender and balances out the citronella. Remember, these are just starting points for your own experimentation. 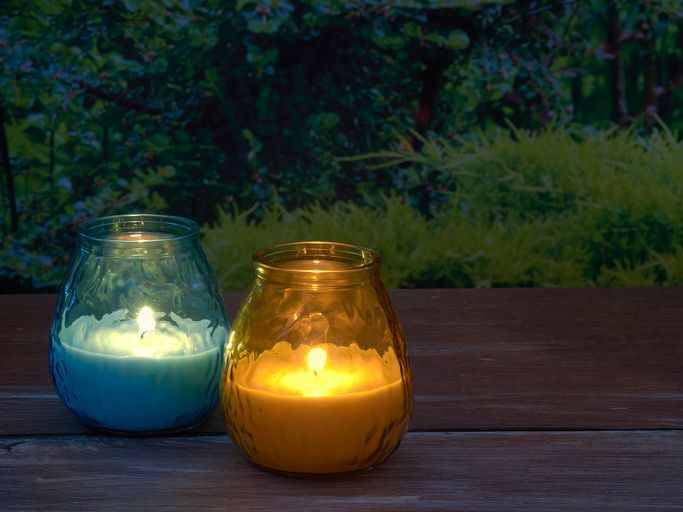 Enjoy your citronella candles and the outdoors!